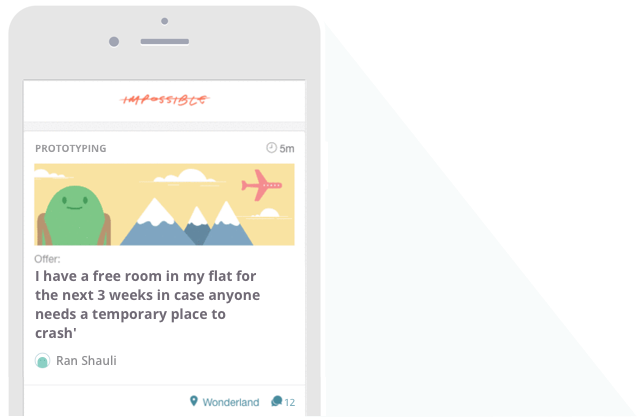 Impossible Communities is built for free transactions of services and goods, not for sharing photos of lunch. Your posts are only seen by your friends, their friends and people near you. We believe the content you create should not be sold to advertising companies. Change the list of interests and logo. If you’re a developer, you can even build new features. Make sure you share them afterwards! An association where students and residents collaborate with each other. Managed by the students association, this is a private, invite-only group. Develop and grow your community by giving it's members a place to offer and request help. Creative Mornings is a breakfast lecture series for the creative community. 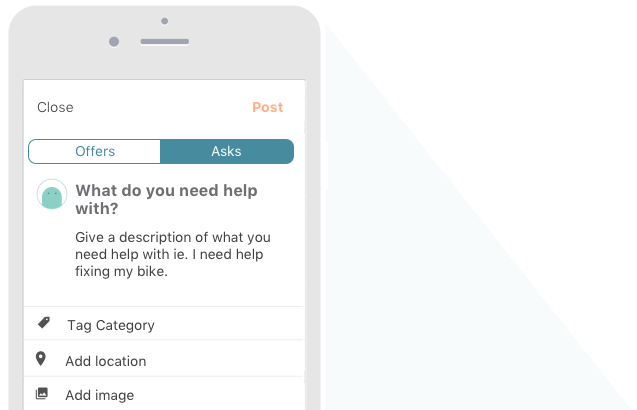 This app enables the London community to collaborate on creative projects by matching offers and requests for help. How’s it different from other social networks? Impossible People is designed for sharing skills and resources: it will always encourage a free exchange of goods and services. Why wouldn’t I use a Facebook group? We are optimised for matching posts between people, so instead of a lot of noise, we will make sure you see the requests that are targeted for you. Based on location, skills, interests and mutual relationships. 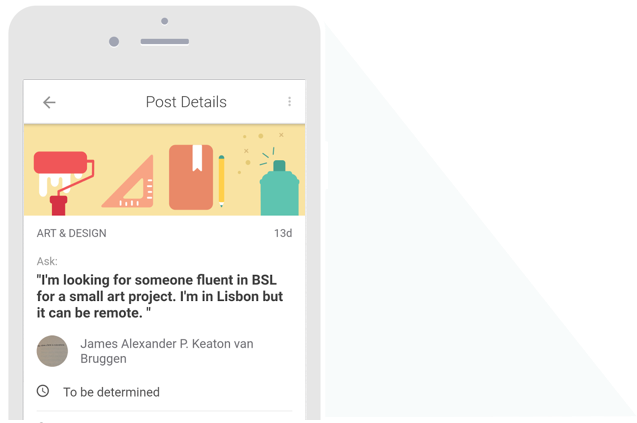 Our matching algorithm makes sure your post is shown to friends, friends of friends and people nearby you who can help on that topic. Trusted groups that want to share their skills and develop a stronger sense of community. Interested in using our platform for your community?